Writers: Stop Romanticizing Rejection. Or, Why I Love Amazon. I read a wonderful post on The Atlantic by Kavita Das the other day, which discussed one of my pet peeves. Jamaican writer Marlon James recently won the 2015 Man Booker Prize for Fiction for his riveting novel, A Brief History of Seven Killings. The media gleefully reported how James’s first novel, John Crow’s Devil, was rejected close to 80 times before finally being published in 2005. James is hardly alone. Time and time again, the literary establishment seizes on the story of a writer who meets inordinate obstacles, including financial struggles, crippling self-doubt, and rejection across the board, only to finally achieve the recognition and success they deserve. From Stephen King (whose early novel Carrie was rejected 30 times before being published), to Alex Haley (whose epic Roots was rejected 200 times in eight years), this seems to be the normal way of doing business for writers. In fact, there’s Litrejections – an entire website dedicated to bestsellers that were initially rejected. But wait. Perhaps it wasn’t lack of imagination on the part of those publishers. Nor was it an unconscious bias against a new and unfamiliar narrative—one that they didn’t regard as “mainstream.” Maybe it was a complex business decision based on multiple factors instead. So, let’s examine some reasons for rejections, as reported by Cracked. 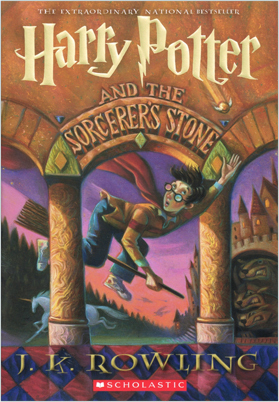 Harry Potter and the Philosopher’s Stone was rejected because at 320 pages it was considered too long for a children’s book. Facing rejection after rejection, Rowling decided she needed an agent. She thumbed through a directory and chose Christopher Little because the name sounded like a character in a children’s book. She shipped her manuscript off to Little’s office, where it met a familiar fate: An assistant tossed it straight into the rejection pile because Little thought that children’s books didn’t make any money. Rowling’s illustrations caught the eye of Little’s assistant while she was sending out the rejections. She convinced Little, who signed Rowling on… at which point publishers continued to reject Harry Potter. Finally, Little shipped it off to Bloomsbury Publishing, where chairman Nigel Newton agreed to look at it as a personal favor. 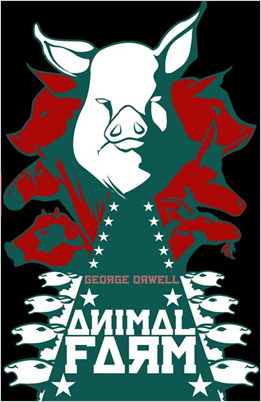 One of the 100 greatest novels of the last century, Animal Farm was repeatedly rejected because it criticized Britain’s ally – Stalin. And one American publisher rejected the book on the grounds that there was no market for “animal stories” in the USA. Publisher Jonathan Cape almost pulled the trigger, but then backed out of the deal. Why? Well, he consulted the Ministry of Information (an agency set up in the U.K. during the war to manage propaganda), and the guy he talked to there advised him against it. That man was Peter Smollett, and he was later confirmed to be a Soviet spy. The manuscript then made its way to famed poet T.S. Eliot, who was director of the publishing company Faber and Faber at the time. Eliot wasn’t big on it, either — he sent Orwell a detailed letter explaining why he thought Animal Farm had totally missed the head of the ideological nail, admitting that the novella was very well-written but that Orwell was being a bit too hard on poor old Stalin, who maybe perhaps wasn’t so bad of a guy after all, you know? Four publishers passed on Animal Farm before it finally got published in 1945 — after the war was safely over and nobody cared about Stalin anymore. After this barrage of rejections, Dr. Seuss vowed to torch the manuscript. But in a coincidence that might best be described as Seussian, he bumped into an old friend, Marshall McClintock, on the very same day that McClintock had become the children’s book editor for Vanguard Press. He either liked the book or maybe just felt sorry for his old friend, and he agreed to publish it. 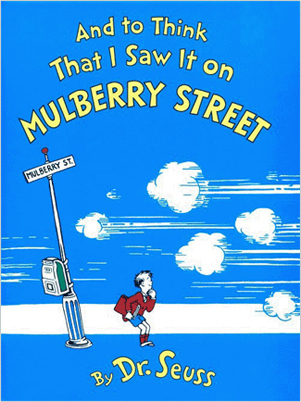 Dr. Seuss’ children’s books have gone on to sell a mind-boggling 600 million copies. 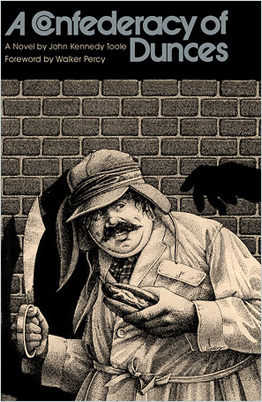 A Confederacy of Dunces is a Pulitzer Prize-winning comedy considered by many to be the funniest book ever written. But the story behind how it got published is almost as insane as the story itself. It’s a shining example of how, through hard work and unyielding perseverance, anyone can make their lifelong dreams come true. Wait, no. It’s actually sort of the exact opposite of that. Again, it’s feedback that in retrospect probably looks silly (starting from around the time it won the Pulitzer), but the point is, if Simon & Schuster didn’t want A Confederacy of Dunces, nobody else did, either. Five years later, the author killed himself. Walker became the biggest proponent for getting the novel published, and he succeeded — 11 years after Toole’s suicide. The world pretty much agreed that the book was fabulous and tossed Toole the posthumous Pulitzer Prize for fiction as a consolation prize. At one point, Hansen went so far as to collect preorders from people saying that they would buy the books. He’d walk into pitch meetings with a briefcase full of little coupons signed by guaranteed customers — 20,000 of them — and publishers still said no. Hey, do you know another industry in which you can present a distributor with tens of thousands of guaranteed sales and still get turned down? In the end, the fate of the book came down to finding a publisher who was desperate enough. That publisher was Health Communications, a small company specializing in recovery books on subjects like alcoholism and drug addiction, and they were seriously hurting financially. 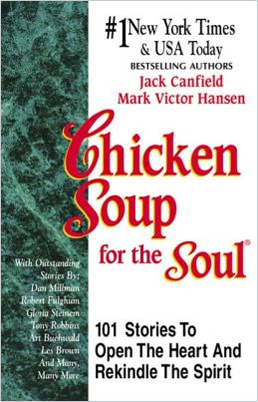 When they saw Chicken Soup for the Soul, they immediately loved it and snapped it right up for a hefty advance of zero dollars. Then they watched as approximately every English-speaking person on Earth bought a copy. And thus Health Communications was pulled back from the brink of bankruptcy, Canfield and Hansen became bajillionaires, and no one’s grandmother ever had to go hurting for reading material ever again. So what, you may ask. What it matter if writers must develop a thick skin? Would the world be such a better place had Toole produced some further books? Well, for one thing, I don’t see much cause to celebrate when writers of such profound talent are roundly rejected in the course of business as normal. I remain perplexed by a system that creates the conditions by which manuscripts that will go on to be lauded are first broadly rejected. If these authors persevered, how many more did not? But there’s something more to it than that. While other sectors have certainly overlooked brilliant new ideas and missed opportunities for innovation, this fact isn’t usually romanticized or celebrated. In other sectors this level of oversight would be called “a system failure,” or “inefficiency,” or “failure to innovate.” All sorts of policies and practices would be put into place to try to prevent this from happening in the future. The only one who has actually disrupted this obviously problematic environment is Amazon. A lot of people complain about the company, but from where I’m standing, Bezos stepped up and created a genuine game-changer. For the first time ever, authors can reach readers with no intermediaries to stop them. Does this guarantee success? No, or half of the posts in this blog wouldn’t be about book promotion. But it does mean that a major roadblock has been removed from your path. And this is good news for both readers and authors. So, while we’re still waiting for a self-critiquing evaluative discussion or a major effort to improve the situation by the literary world, the world is changing all around them. With thanks to The Passive Guy. Read the full articles on Cracked and The Atlantic. Oswald already has six books in his Inspector McLean series of detective mysteries available on Amazon, and yet the author of The Telegraph article calls <Natural Causes Oswald’s “debut” novel. While it is the author’s first novel, the word “debut” also carries connotations of the first public appearance of someone or something. The article concludes that “The hefty advance suggests that Penguin considers Oswald in the same bracket as Ian Rankin and Val McDermid.” Has the quality of Oswald’s books somehow been enhanced magically by being traditionally self-published? Does his army of fans care what Penguin thinks of Oswald’s work? The Daily Record entitled its article about the deal “Fife farmer achieves six-figure publishing deal after 20 years of rejection and pain”. Below a photo of Oswald is the subtitle “James Oswald turned to self publishing before finding success”. Excuse me? Lol. Sorry, it is a rather lengthy comment. Wonderful article. It’s an inspiring one for writers and sends a message that they should never give up. despite the odds. Great post. Nicholas, this is extremely well researched and is not only informative, it is also entertaining. One of your best posts I have read. It’s a wonder anyone goes the traditional publishing route these days. Most welcome, Nicholas. Happy Holidays to you and Yours. Nice compilation! I agree that rejection shouldn’t be romanticised as such, but I think it’s good sometimes too to remind writers that a huge element of success is sheer luck which is as elusive as a sun tan in Ireland. Thanks for that great point, Sally! Fab post! Although I do enjoy reading about these extraordinary rejection/ success stories of famous authors. .. not only is it entertaining and mind-boggling, but they give us all hope. ? I recall something from a “how to get published” workshop I took back when I was still hoping to go the trad pub route. The instructor gave us wannabees a long spiel about What It’s Like To Be An Editor. You take the subway to work, your feet get wet, you have money troubles to worry about, you have indigestion from eating pizza, and there are All Those Manuscripts you have to plough through, sent by All Those Writers! Poor babies (the editors, that is)! The gist was that writers have to keep all this stuff in mind when preparing their submissions, so and tailor prose to cut through the grim stuff of the editors’ lives, hook them, and draw them in, even though they’re resisting all the way. Shortly after that workshop, I stopped submitting (and isn’t that a telling word!) and published myself. I can’t say my sales are anything to boast about, but there are sales, which wouldn’t have been the case if I had kept hoping to be traditionally published. Thanks for this post, Nicholas! A pleasure. Thank you for that fascinating insight! So true. It’s sad that many great authors had to die before they succeeded, and you have to wonder what masterpieces they might have created. As much as I love this business it is often soul-crushing. Sadly, I don’t think that will ever change for many who seek traditional publishing. This was an excellent post, Nicholas. Hope your little one is doing well. Love that Peanuts cartoon! I think publishers often haven’t a clue about what readers will buy – they’re basing their opinions on books that are currently selling. Happy Holidays and thanks for this entertaining post. That is another good point. Publishers do know their market (or they’d be out of business), but they do tend to be risk-averse to a fault. I wondered where you were going with it, and the summation was genius. Great post. This post is just what I needed (and I suspect many others as well) right now. Launching my children’s picture book (a first of this genre for me) about real grandparents has been daunting. I love this project. The kids who’ve had it read to them have loved it but, alas, agents? Not so much. And, as a picture book it’s not the best choice for an ebook which are easier to promote than paperbacks. So, my normally ebullient personality is losing a bit of its bubble! But, this post gives me heart. I love the way the book turned out, I love the message it sends into the universe about grandparents being vibrant and fabulous as opposed to the ones we see in most books for kids who look more like Methuselah than Madonna. So, I press on. I’m considering offering it as you did yours, free download for a bit but haven’t yet decided if that’s the right way to go. But, I’ll press on. I can take the rejections. (or at least the first 100, after that I may be challenged.) Thanks! I’m so glad you enjoyed the post. Like you, I find it exceedingly hard to properly promote a picture book. It’s mostly a labor of love for both Dimitri (the illustrator) and me. That works out pretty well for everyone who reads your blog. We all seem to have similar needs. Awesome and uplifting, Nicholas. The rejections are amazing to read, but you’re right, for every one that made it, there are thousands that didn’t. It’s a sad story overall. Until Amazon started fulfilling dreams – and making it easy to do. Overall, Amazon deserves our applause. Yay! I recently read an article about Carl Hiaasen’s wife reading a children’s book, Eargon” and telling him about it. It was a self-published book. Carl got behind the writer and his family who had supported him, and got him published with his agent. The book met with great success. You can read the story here: https://en.wikipedia.org/wiki/Eragon. Gives me faith in destiny and hard work. Fascinating story, isn’t it. You just never know about fate. Honestly, I think those tales of perseverance reveal that dumb luck and unexpected timing are required to get traditionally published. It is strange how guaranteed sales don’t do the trick. Makes one wonder what it takes to get published besides the luck. 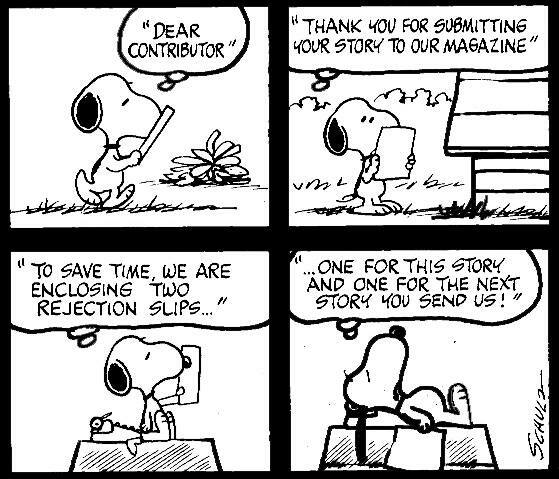 This is probably why rejections get attention because every author feels like an underdog. Once you send out your work, it’s up to the universe. A manuscript takes more effort to examine than an art portfolio, demo tape, or audition video. That might be another reason authors and the media romanticize rejections. It’s just so common and easy to get those even with the indie scene allowing us to prove ourselves. Lol – that sounds a bit gloomy. I also see camaraderie and generosity. Science at least has processes that aspire to clear the path for worthwhile ideas. I’d love to see something similar in the publishing world. Yes. I agree. There is something desperately wrong with the system in place to choose which books get published and which don’t. I’ve read some horrible novels, including children’s books, and wondered, how the heck did this get published? Poor books getting published is also inspiring because I think, if they’ll publish this trash, they’ll surely like mine. But that’s all in the past since I started my own publishing company and publish myself. The badge of honour of having many rejections is something I hear about a lot. I’ve got my folder stuffed with rejections. The best one I received went something like, “We’d publish your book but our schedule is full for the next three years.” So it was good enough but they were too busy. As least I got an honest answer. Growing a tough skin is something everyone needs, not just writers. Great cartoon. I wonder if Charles Schultz was ever rejected. Probably. When I started my publishing company, I published only myself. Then I published another author, the one more. Last year I ran a short story contest and published the winners and ten other stories in book form resulting in 12 authors getting work published. I’m building my company slowly because of my limited time. Next year I’m going to open submissions for two projects. Will I do things different than other publishers? I suppose I do. But every company is run by humans. What I don’t like in a story, someone else might love. I had assumed (before I read this blog) that editors at publishing houses at least read the manuscripts and gave thought to whether it would fit their vision of a good story. Not to forget that it was Rayner Unwin, aged 10 at the time, who read ‘The Hobbit’ and gave it the favourable report that led to Allen and Unwin publishing it. Really? I didn’t know that – thank you for the tip! I think this post could empower writers. They can realise that it is not all about rejections and perseverance, but that the 21st century offers a different path. I certainly hope that authors reading it will take comfort in the knowledge that it’s the system that’s problematic; not necessarily their writing. I couldn’t agree more, Nicholas. I understand why authors treat multiple rejections as a badge of honour because they’re a sign of the author’s perseverance in getting published, but for an industry to mythologise their abject failure in spotting books that have gone on to critical and commercial success, that I’ll never understand. Thank you! That’s exactly what baffles me completely! It’s like they, too, take pride at their misses. Absolutely bang on brilliant. And Confederacy of Dunces is my favorite book ever. I know, right? Until I found out the story behind it. Kinda bittersweet now. One of the best posts on this blog. Empowering and saying it as it is.